In this project you will acquire expert knowledge on femtosecond lasers, optics, nonlinear optics, and you will develop new knowledge on the physics and physical chemistry of molecules and ions at interfaces. In this project you will use femtosecond visible and infrared light pulses to study the properties of water molecules and oil molecules at water-oil interfaces. The combination of these pulses at the interface leads to the generation of light at their sum frequency. The spectrum of this light provides unique and monolayer-specific information on the structural properties of the water and oil molecules at the interface. You will also study the effect of added ions and surfactants on the water-oil interaction. The goal of the project is to gain a molecular-scale understanding of the hydrophobic interactions between water and oil, and how this interaction can be influenced by the addition of ions and molecules. The project is part of an Industrial Partnership Programme with British Petroleum. The goal of this group is to study the molecular-scale properties of water, ice and aqueous systems like hydrated ions, membranes and proteins. The research is carried out using spectroscopic techniques including femtosecond (nonlinear) vibrational spectroscopy, surface sum-frequency generation and GHz-THz dielectric relaxation spectroscopy. You have a MSc-degree in Physics or Physical Chemistry. The position is intended as full-time (40 hours / week, 12 months / year) appointment in the service of the Netherlands Foundation of Scientific Research Institutes (NWO-I) for the duration of four years. After successful completion of the PhD research a PhD degree will be granted at the University of Amsterdam. Several courses are offered, specially developed for PhD-students. 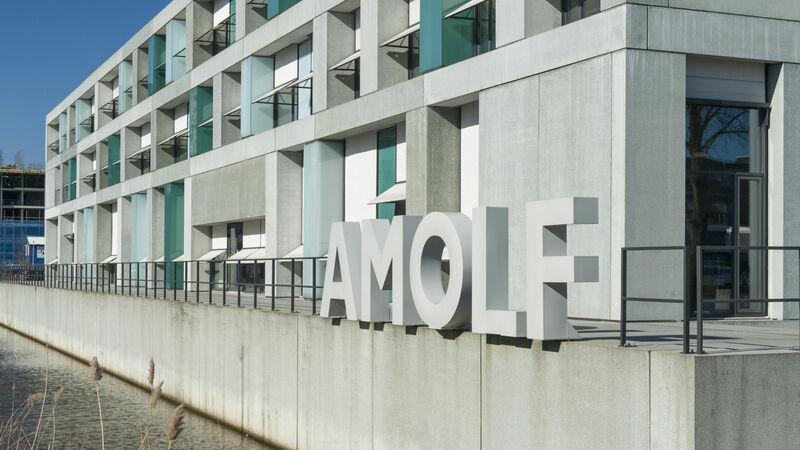 AMOLF assists any new PhD-student with housing and visa applications and compensates their transport costs and furnishing expenses.